This module is based on a design from Electronotes. 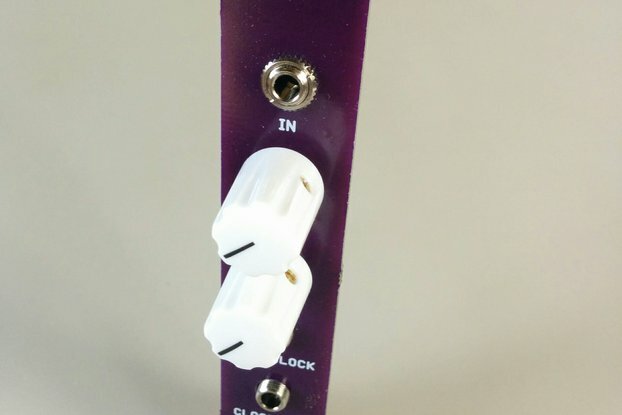 It was originally paired with a vocal filter (which is also available in my Tindie shop) to provide a somewhat random modulation source for it. It's not completely random because you can still hear the cycle, but it's much less cyclic than a normal LFO. There are 5 LFOs, all sharing the same speed dial but operating at slightly different speeds from each other. Each can be used individually as a normal LFO. In addition, there are 5 outputs of summed permutations of the LFOs. This is what gives the somewhat random flavor. Each set of summed LFOs is subtly different. If you look at the panel, you'll see something like "V <--> !V". The V output is the 1st individual LFO. The !V output is the sum of the other 4 LFOs (W+X+Y+Z, without V), which is where the name LFOUR comes from. It's the same for the rest of the LFOs down the board (i.e. W = 2nd LFO, !W = V+X+Y+Z). The PCB is rather large and may not fit in all Eurorack cases, it's 4"x3". The filter will work with either Eurorack +/-12V or a +/-15v system. 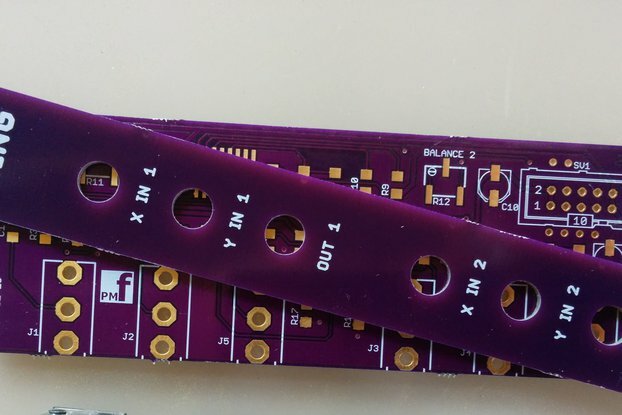 There is no Eurorack header as this board was originally part of a dual board module which I also sell. The components kit includes a ribbon cable and female header that you can solder directly to the board holes. Note: This PCB uses 5 CA3080s. If you don't have these there is an option to include them. Schematics and docs will be provided on purchase. If you have any questions at all please let me know. 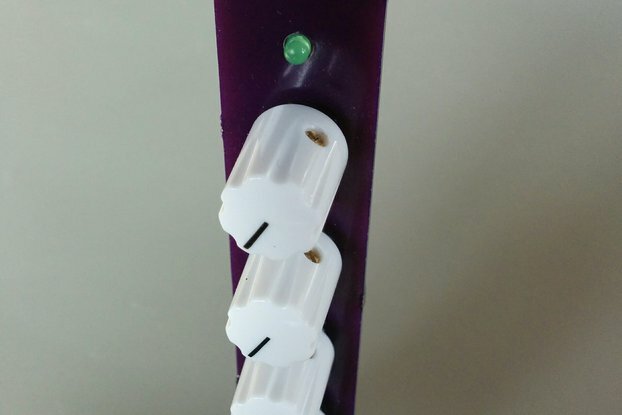 Note: The picture of the panel has an extra "OUT" jack hole that was a mistake in my prototype, please ignore it. Your panel will not have this.